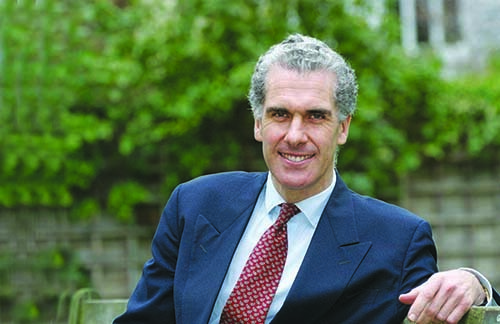 The Rev Nicky Gumbel turned the Alpha Course around after he took charge of it in 1990. 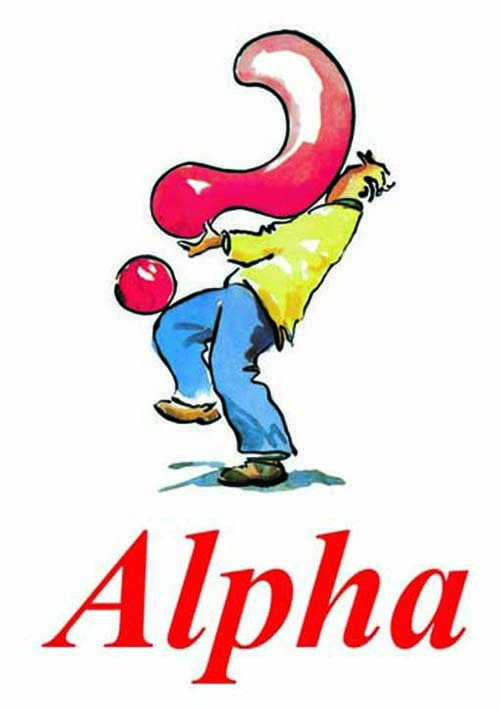 Alpha was meant for new believers, but he realised that it could also appeal to non-churchgoers. 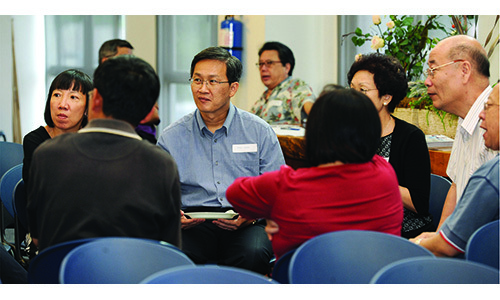 Methodist Message caught up with Nicky in an interview facilitated by Alpha Singapore, and also sat in at the Breakfast with Nicky Gumbel dialogue held at Wesley Methodist Church a day later for church leaders and pastors from across Singapore. Below are excerpts of what he shared. WE HAVE BEEN ASTONISHED at the growth of Alpha. I think of Luke 5:4-6 – the disciples cast their nets into the deep, and caught so many fish that the nets began to break. We have been astonished about the individual lives that have encountered Jesus and have been transformed. The Holy Spirit has made this possible. It has spread from church to church. 169 countries, 65,000 churches, 20 million people. Last year, we saw a 29 per cent increase over the previous. We watch in astonishment as Jesus transformed lives. Personally I’m a shy and introverted person. I did not have great testimonies. I was never good at sharing the Gospel. But Alpha offers a natural, unforced and unpressurised way to do it. Having a meal together, sitting around and chatting with friends – it was the way Jesus did it, in an incarnational way. That’s why for me, Alpha works. It’s about being authentic, real, being ourselves and being honest about our struggles. Alpha’s not the only way, and it’s not necessarily the best way. If we find a better way, or if God withdraws His hand, we’ll stop Alpha. I am interested only in people coming to know Jesus. We have to be united if the world is to believe. All the way around the world, there are countries divided, families divided, divisions in politics, the workplace, homes and the only way for these divisions to be healed, is for the church to be united. We are meant to be an example to the world – let’s not criticise it, let’s get our own house in order. The Holy Spirit is bringing around a new unity in the Kingdom of Christ – barriers are coming down. Alpha works. I’ve watched it every time. In business terms, we’ve been through the research and development phase. This May, my wife Pippa and I will be attending our 69th Alpha small group in our church. We listen, and we help out in it. We love to watch people’s lives being changed. It has worked in every culture. In Latin America, where there’s strong growth in the Catholic Church; in India, where just five years ago, we had 500 churches running it, now we have 23,000 churches doing it. 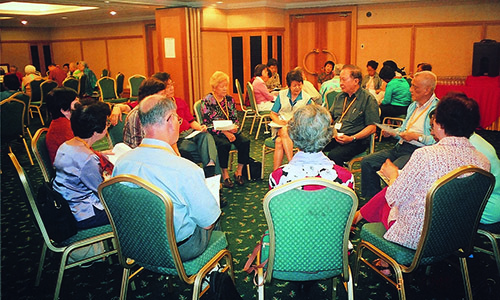 People from mainland China – we don’t know of any group that’s more responsive to Jesus. But if you think of the size of India, China, there are still many who have not heard the Good News of Jesus Christ. Alpha is not about conversion. It’s about the transformation of society. Just as we’ve seen it work everywhere – in schools, universities, the workplace and the prisons. 85 per cent of prisons in the UK run Alpha. In Singapore, we’ve been to Changi Prison, and in Malaysia, the prison in Bentong. The work has been amazing. I find there’s no greater blessing. Consider running an ex-offender programme. If you run Alpha for prisons, you’re making a connection. The moment the person leaves prison, one of two things will happen. One of his old friends may turn up, and say to him – let’s go and do the things we did. Or, if your church is present – you can help him get a job, find somewhere to live. At Holy Trinity Brompton church (HTB), we have 40 ex-offenders and they have grown a lot. Over the past 15 years, only two have re-offended, and that’s the lowest rate in the UK. The Government has seen that this is the most effective form of rehabilitation. But there’re still new things I’ve discovered about Alpha. It is the way people experience faith. I thought you had to persuade people’s minds. It doesn’t work like this. When you do Alpha, you give people an experience of church. Over the last 20-odd years, we’ve been changing the course. When we first started, the order of the talks started with the Bible, and then prayer. People found it easier to talk about the Bible, and prayer was more boring. But now people are more receptive to prayer, while the Bible is perceived to be too difficult. So we make 10 to 20 tiny changes with every course. A group of young people run Project Alpha Innovation to evolve Alpha. Right now they are running 37 projects. Our aim is to get our updated materials to the churches. Some may still be using the materials we developed 10, 15 years ago. We want to get the “summer 2013” model to churches so that they can watch live talks streamed from HTB, and get all the updates on how things are run differently today. It is our long-term vision to have a speaker for each version – someone who can talk to people in their language. It hasn’t been easy. Our videos are now dubbed in over 100 languages. But this is only a temporary solution. In France, we tried three times unsuccessfully. On the fourth attempt, it worked. Marc de Leyritz took 100 hours to study and replicate the exact same talk on each of our videos, in French, and today he heads up. Alpha France. It will be a slow process, and right now, France is the only country that is doing this. Churches need new people, otherwise they become like the Dead Sea – very salty! We run Alpha three times a year, and that means there’re a lot of new people coming in to HTB. They come to faith at Alpha, and they become part of the church. And to have a healthy church, just as we have water coming in, we need to have water going out. So we plant churches. There was a cathedral in Brighton, and they were going to close it, because they had just six people left. They boarded it up, as they couldn’t sell it because it was a listed building. One of our archdeacons said – an empty church building is like an empty palace of a long-forgotten king – people walk past and think that the king is dead. So we asked them to give it to us. We sent out 50 people, together with a clergyman, as well as my son, who went as an assistant, three years ago. They started services, and new people began to join. They now run Alpha, marriage and parenting courses, as well as a shelter for the homeless. Today, we have over 700 coming in for Sunday services – it is the largest church in the region. Leaders? I don’t like the word. In the King James Version of the Bible, the word “leader” was used four times. The word “servant” – 900 times. I am reluctant to use the word, but it’s a fact that Jesus raised up leaders, and he was the greatest leader that ever lived. The word “leader”, used with the right meaning, is not a bad word. For the past four years, Alpha has been running leadership conferences – the first year, we had 850; this year, we expect more than 6,000 people at our May conference in the UK. We have a leadership college for young people to attend between school and university, or after they finish their studies. It provides theological and leadership training. For international students, we offer a six-month course, starting in January 2014. Nicky Gumbel is Vicar of Holy Trinity Brompton, a vibrant Anglican church in the centre of London and the “home’’ of Alpha.  The Alpha Course: 10-week programme. Run it in church or as a small group. Starts with a meal, with live talks or videos on different topics. No question is off-limits – your pre- believer friends can ask anything they want.  Workplace Alpha: one-hour sessions that you can run in your work-place. A meaningful and potentially life-transforming way to connect with your colleagues and fellow workers.  Youth Alpha: for 11-18 year-olds. Excellent resources like guides, slides and books for leaders, and engaging materials for older and younger youths. Student Alpha: for tertiary students. Seven- session course, with excellent resources like video talks, admin notes, host and guest notes, launch invitations etc. Alpha for Prisons: 10-week course but can also be presented over a shorter period. In Singapore, the first Alpha for Prisons was conducted at Changi Women’s Prison and Kaki Bukit Centre in 2001. Since then, it has grown to include halfway houses and rehabilitation centres. A great way to extend and expand your church’s prison ministry.  Relationship Central: Excellent courses developed by Nicky and Sila Lee on marriage preparation and marriage – a must for those about to get married, and those already married – happily or otherwise. 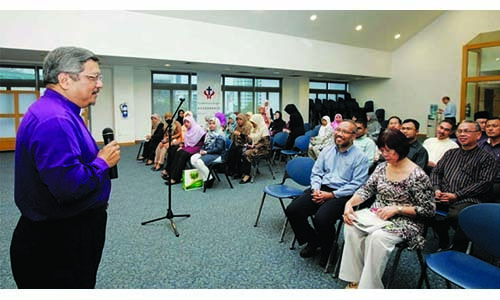 The Parenting Course was launched in Singapore in 2011 and is helpful for any parents (regardless of faith or belief) who desire to build strong foundations for their families.  Worship Central: resource-rich site for worship leaders and musicians, including a Worship Central Course that aims to Encounter, Equip and Empower worship leaders. Full downloadable materials and information at www.worshipcentral.org.